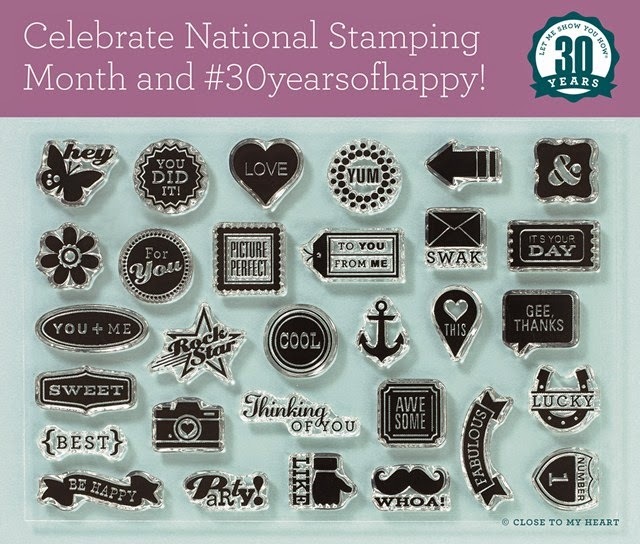 Scrappy Therapy: Free National Stamping Month Stamp! Get this stamp set FREE with the purchase of $30 of stamps! 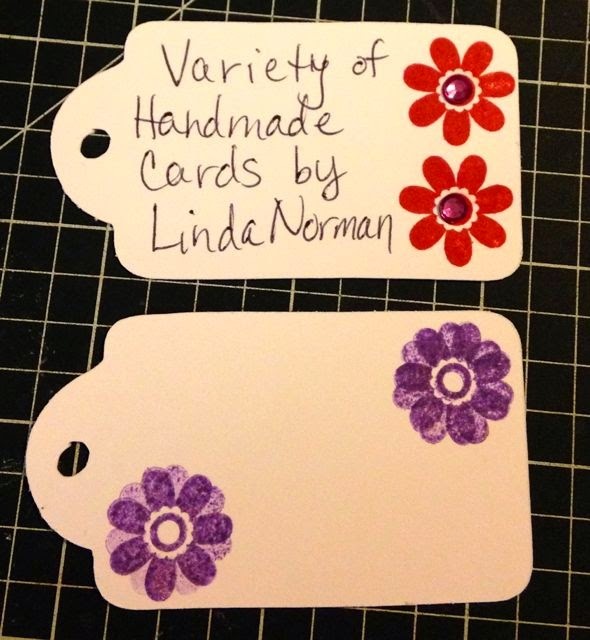 Check out these sweet tags I made today with this stamp! They were super easy! I cute them at 2.5 inches on the Cricut with Art Philosophy and stamped them with Cranberry and Gypsy ink! 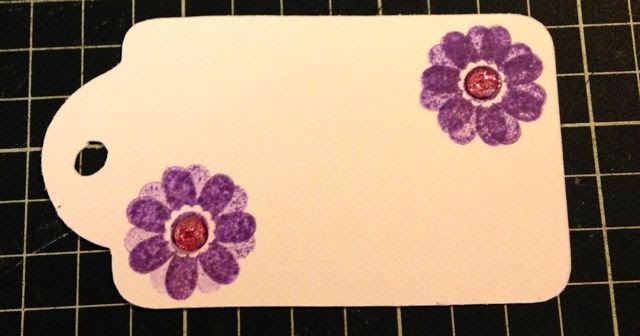 The Gypsy ink I actually did both second generation stamping and the original stamping to give the effect of lighter petals.Of course I added a touch of bling in the center! Same tag below just with the Pink Glitter Gems added! I used these to identify the bundles of cards I donated to a neighborhood giveaway! They are the cutest stamps with a variety of ways to use them! Get yours now just click on the Shimmer Trim below to start shopping!